Weather can mean the difference between life and death and if it can be predicted or forecasted accurately on the time, millions of life can be saved. Meteorologist, whose forecast can save millions of life is considered as one of the prestigious occupation in the United States. David Lawrence Bernard, popularly known as David Bernard represents himself as a Meteorologist who has been working as the Chief Meteorologist for WFOR-TV for nearly a decade. Bernard has been certified as Broadcast Meteorologist and has been working in the field for decades under a certificate of the American Meteorological Society and also he has received the seal of approval from National Weather Association. Born on April 13, 1969, David Bernard has shown his strong presence in the field of Meteorology and has been considered as one of the successful and highly experienced meteorology in the United States with 25 years of experience of forecasting hurricanes. David was born and raised in Huston, Texas and attended the University of Texas at Austin and completed his study there. Having an interest in weather, David spent his childhood days in Texas observing hurricanes and snowfall. Being a native of Texas Hurricanes and Snow are quite normal phenomena for David. "I had a great opportunity with the network in New York. But that phase was done, and I felt like I wanted to be where I wanted to be." David Bernard has experience of working with AMS Board of Broadcast Meteorology as a member. He had been serving WFOR the CBS Station, Miami as Chief Meteorologist and as a meteorological consultant in Florida before he returned to WVUE FOX 8, New Orleans. 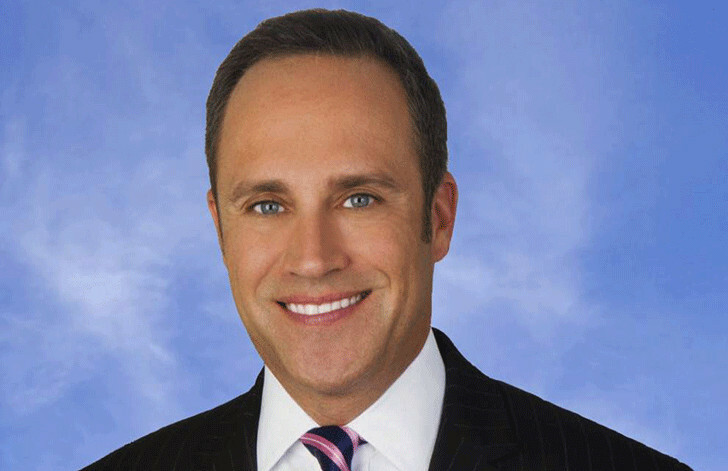 David returned to WVUE FOX 8 and teamed up[ with leading Meteorologist of country Bob Breck. This team is considered as one of the most experienced team to forecast hurricane. Before returning to New Orleans, David appeared on CBS Evening news as hurricane consultant. He has also made a contribution to the Nation and Sunday Morning. In 2005, David Bernard reported about the record-breaking season of Hurricane Rita, Wilma and Katrina. He spent a week in New Orleans covering disaster brought by Katrina. David was praised by the Times- Picayune for his continuous voice covering Hurricane Ivan. David Bernhard has spent 8 years in New Orleans and he is considered as one of the experienced meteorologists in FOX 8. Longtime FOX 8 chief Meteorologist Bob Breck expressed pleasure to have David in their team. He pointed out David as a serious and highly experienced meteorologist. Moving to personal life, David Bernard has maintained his personal life private. He has not spoken any word about his marital status, relationship, and affairs. Hardworking and dedicated personality took his profession seriously which indicates that he does not give much more value to relationship and affairs than his profession. His net worth has not been released by any websites. A successful meteorologist David has a huge fan following on social networking sites such as twitter and facebook. More information on David can be found on fox 8 official website.